Morning all! 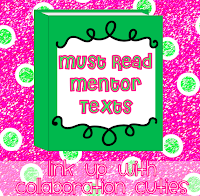 I'm linking up with the Collaboration Cuties this week for Mentor Texts on Math. My Smarties loved this book during our unit on Multiplying Fractions. In this story it is 10 years after Rumpelstiltskin has spun gold and turned a poor maid into the queen. He returns to the kingdom to claim the queen's son. When she refuses, he uses his magic walking stick to multiply bad things within the kingdom (bugs, rats etc). The queen's son, Peter, agrees to go with Rumpelstiltskin. He learns the magic of the walking stick, and tricks Rumpel at his own game. What is great about about this book is that the multiplication is not just by whole numbers. Peter figures out he must use a FRACTION to defeat Rumpel.. how cool is that for upper grades! 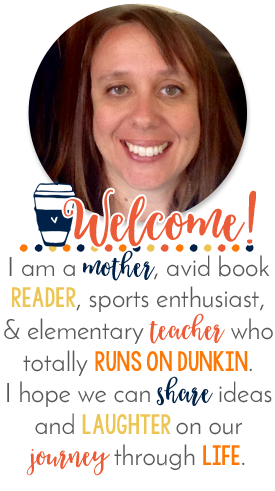 If you have a great Mentor Text for Math, head on over to see Amanda and Stacia, the Collaboration Cuties and link up a book that you use in your classroom. I was just looking at this book on Amazon yesterday and I was debating about purchasing it! So glad you shared it today! This book looks great. Too advanced for our little kiddos but I will suggest it to my sister who is student teaching with older students! Just found your blog today with the mentor text link up! I have become a follower and will be stopping back. I will also share this text with a friend of mine I used to teach with in fifth grade... Thanks for sharing! 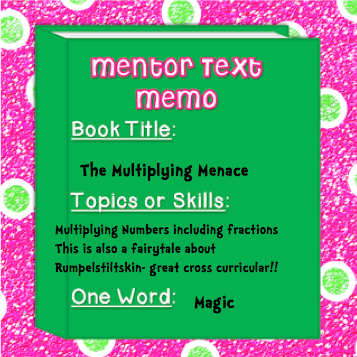 As an ELA teacher and a huge proponent of literacy, may I say that I love your post and love that you use mentor text in MATH! AWESOME, AWESOME, AWESOME! :) I'm your newest follower! I teach third grade so this book's inclusion of multiplying fractions might be over their heads a little, but I still will try it just for another way to inspire the little kiddoes to LEARN their multiplication facts! 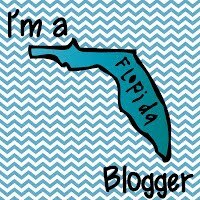 I found you thru Collaboration Cuties linky and I'm your newest follower! What a cute book! I have never heard of this!! This would be perfect for introducing multiplying fractions for my 4th graders!! Sharing this with my teammate who teaches math. Awesome text!